The Division of IT issues certificates from the InCommon Certificate Service. These are commercial certificates issued by the Comodo Certificate Authority. The InCommon certificates have a root certificate from Comodo's AddTrust External CA Root. All InCommon certificates offered by the Division of IT are free of charge to MU and UM departments. The Division of IT issues certificates from the InCommon Certificate Service. These are commercial certificates issued by the Comodo Certificate Authority. All are free of charge to MU and UM departments. When a browser operates in secure mode, the information that is being transferred is encrypted. Encryption prevents anyone except the actual sender or receiver and the server from viewing the information. This involves a process called Secure Sockets Layer (SSL). To ensure the SSL connection is made to the intended server, certificates are used. The Division of IT offers client certificates for all users in the Columbia and UM business units. 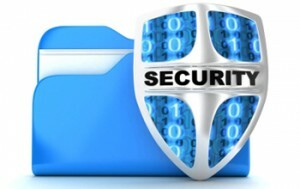 The client certificates offered allow for both signing and encryption use. Code signing is the process of digitally signing executable code and scripts to confirm the software author and guarantee that the code has not been altered or corrupted. Go to doitservices.missouri.edu to request InCommon Security Certificates. Login to the self-service portal with your University user id and password, select Service Catalog, and search for InCommon Security Certificates. For additional questions about this service, contact isam@missouri.edu.